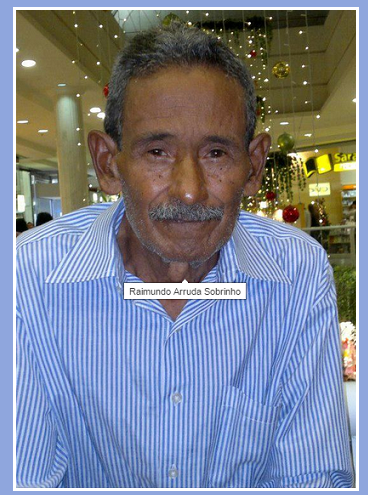 Raimundo Arruda Sobrinho is 77 years old. 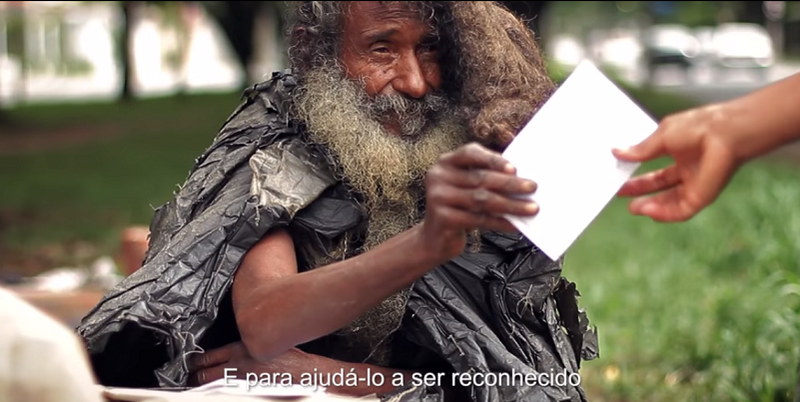 He had been homeless for 35 years. That is until Shalla Monteiro met him in April 2011. Shalla said that Raimundo used to live in a place that he called, “the island,” which is simply the grass on a street median. When she saw him for the first time, he gave her one of his poems. From that moment, he became a part of her life. She said, “writing is his passion. He writes every day.” Shalla continued by saying that he is a man and he is an artist. Raimundo always wanted to publish a book of his poems, but living in the streets made it ‘impossible’ for him. That’s when something great happened. In the beautiful, supportive world in which we live, Monteiro created a Facebook Page (which now has 151,000 Likes!). So, now, he could publish his poems. After the Facebook page, she said that people began getting close to him. People wanted to meet him and know him. Yet, he was without family or friends. But, Facebook has a pretty big reach. Soon, Shalla got a message from Raimundo’s brother. After all these years, now finally Raimundo and Shalla are going to publish his book. His dream is coming true after so long. Stay tuned for the completion of the book and watch the video below. He even has a Wikipedia page. Below, you’ll see some of Raimundo’s story is here in this video. Keep an eye on his Facebook Page for details on the book’s publish date.